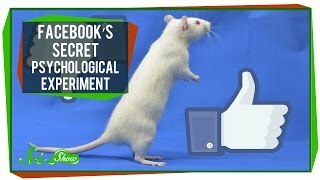 SciShow News explains the science behind a psychological experiment performed on about seven hundred thousand Facebook users, although none of them knew that they were participating. Study in which Facebook manipulated the news feeds of almost 700,000 users for psychological research sparks controversy. How do you feel about Facebook secret psychology experiment on users’ emotions?